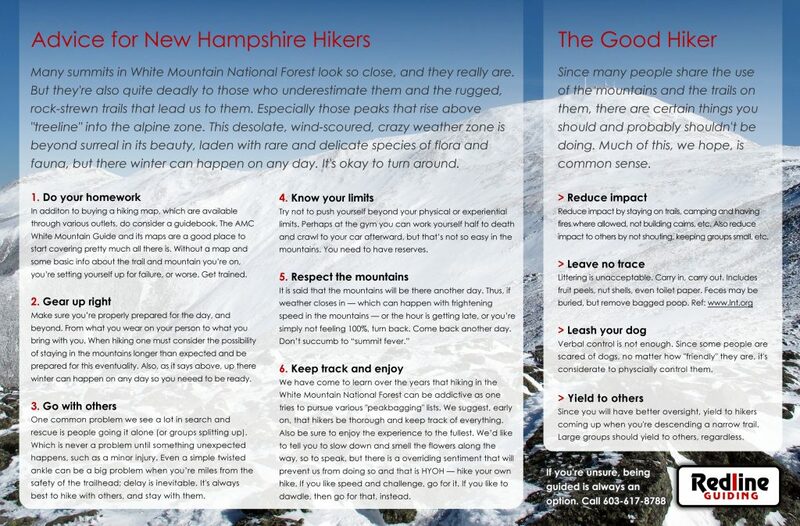 Look for these mini trifold hiker safety pamphlets throughout the Mt Washington Valley, particularly at lodgings. Outside design of pamphlet – click to view full size. Inside design of pamphlet – click to view full size. 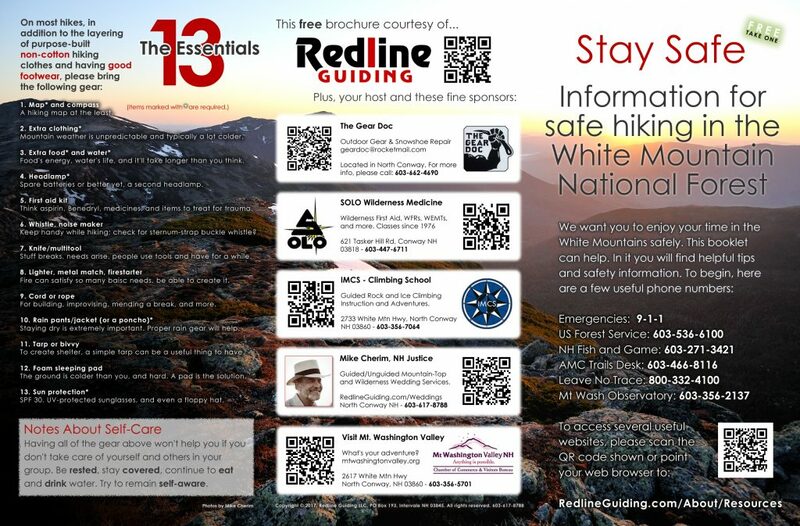 Local Distribution in the Mt Washington Valley… Thank you! 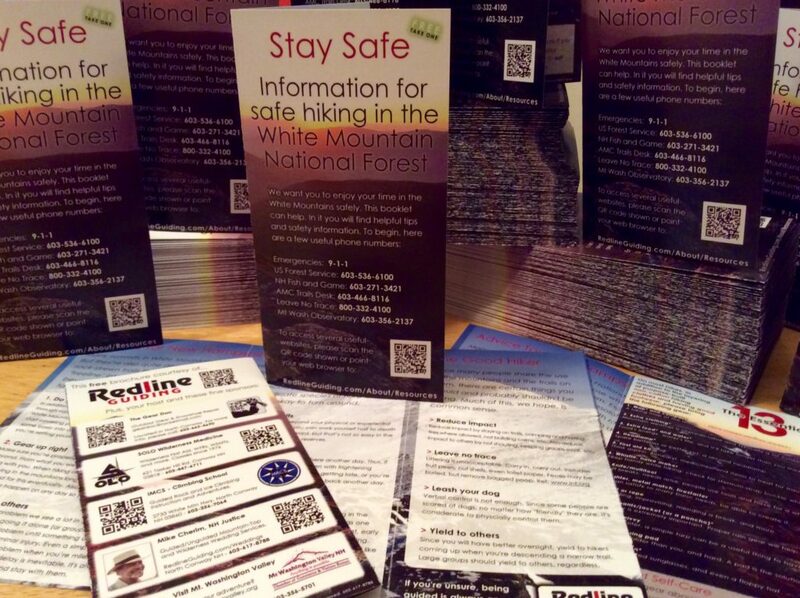 Look for these pamphlets (while supplies last) at the following 117 establishments, listed in no particular order. These folks care about your well being so we hope you’ll visit them while you’re here in the Valley (links open new window/tab). If you have a business in the Valley and would like to help, or if you need another stack, please let us know. UPDATE: Now available as a print-it-yourself PDF. There’s always thyme for safety.